It's been a while since I've posted anything... all autumn as a matter of fact! Today, I decided to end the drought and pulled this DIY out of the archives! I compiled this post back in August, so it's a bit summery. But who doesn't want a little summer sun when we move into the dark winter season? 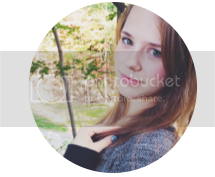 So here it is- a simple jewelry project to keep you busy in the colder months. Plus, these earrings will definitely step up your fall & winter wardrobe game! I mean, what doesn't white marble go with?? P.S. Sorry if the clay is a little hard to see! Apparently white does not photograph nicely on white. Cut a small piece of your white clay. Warm the clay and roll into a ball. Smush the white clay flat. Cut up some black clay into little chips and sprinkle onto the white clay. It'll look like yummy cookies n' creme chocolate! Fold the clay in half and pull. This technique will give you a better marble effect than simply rolling and mashing the clay. Continue to fold and pull the clay until you get the marble effect you desire. Once the clay is marbled, cut the clay in half roll and gently roll into two small, similarly sized balls. If you need more marbled clay, simply go back and repeat the steps up until this point. Press the balls flat into little pancakes, taking care to make the surfaces smooth, flat, and equal in thickness. Now take your exacto knife and cut each pancake into triangles (or whatever shape you want). Note: you may stack the pancakes on top of each other and cut them together- that's what I did. Just be careful about the layers getting stuck together! I found it's easiest to start cutting a triangle as large as possible then making the triangle smaller and smaller as I evened out each side. Cut down the triangles until you get them at the size you want for your earrings. When you're ready, bake your triangles according to the clay's instructions. Once your clay is baked and cool, super glue the earring posts to your earrings. You can also add a coat of bead glaze/clear nail polish for a subtle shimmer. 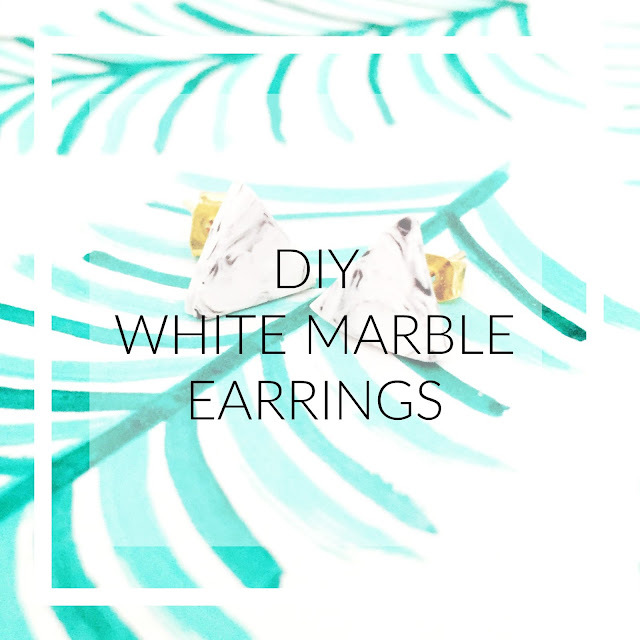 If you have extra clay (or are simply obsessed with white marble), you can use the same steps to create pretty necklaces. The only step you'll need to add is twisting a piece of wire into a tiny loop and pressing it into the side of the clay before you bake it. This will create a loop where you can attach jump rings and string the necklace. How is your white marble jewelry collection looking? I'm definitely a fan of my new jewelry! It's super easy to make and it's extremely versatile. I easily included them in my outfits as my wardrobe changed from summer to fall. Have a happy turkey season and stay on the lookout for Christmas present DIYs!